Your Candida Results, Beneficial Bacteria, and Microscopic Yeast - YeastInfection.Org by Eric Bakker N.D. The other thing I look for in a CDSA test is the actual level of other bad bacteria in the sample and in particular the level of beneficial bacteria. Is there a 1, 2 or a 3+ of good and/or bad? You may be concerned for example if you have a positive result with candida after a stool analysis, but have failed to look at the amount of beneficial bacteria, only to discover that you have a 3+ Lactobacillus acidophilus level. You should be concerned if there is NG (nil growth) in terms of Lactobacillus acidophilus, and some of the chronic cases this is exactly what I have found, yeast in all three stool samples and NG in terms of the lactobacillus species. I want you to remember that it is not always about killing candida; it is about restoring digestive harmony, and by assessing your level of the good and bad bacteria as well as yeast you will be in a powerful position to restore this harmony. No other pathological or functional test can give you this incredible level of information, now you can see why I believe this to be the best test you can do if you are serious about getting rid of your yeast infection permanently. A CDSA will reveal whether yeast will be in the stool samle or not, and microscopy will be most helpful in finding if fungi like candida are present. Yeast is commonly found in very tiny amounts in a healthy intestinal tract, and while small quantities which are reported as “none or rare” may be normal, any yeast observed in higher amounts, “few, moderate, or many” is considered abnormal. 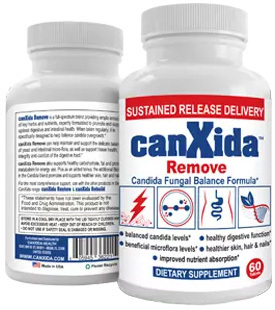 In a healthy individual, any candida overgrowth will be prohibited by beneficial flora, the intestinal immune defence (secretory IgA) as well as intestinal pH. Acids like lactic acid are produced by lactobacillus species which lower the pH and thereby create an environment which is unsuitable for yeast to thrive in, a good reason to have a 2 or a 3+ of beneficial lactobacillus in your stool counts. It is most beneficial to have excellent numbers of lactobacillus, because they also produce natural antibiotics themselves like hydrogen peroxide, acidolin and lactobacillin. A significant and much over looked problem with culturing yeast from a stool sample is that they are colony forming agents and are therefore not evenly dispersed throughout the stool sample, so even though yeast may well be found microscopically, it may not necessarily be cultured successfully even when collected from the patient’s same bowel motion.